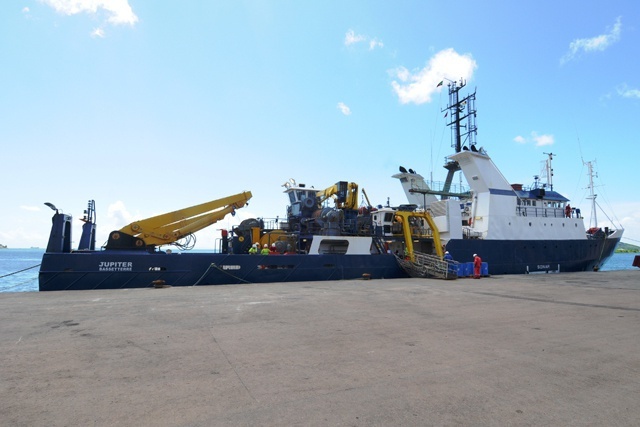 (Seychelles News Agency) - The Japanese Oil Gas Minerals Exploration Company, JOGMEC, has been granted an extension of its license to further explore the Seychelles' waters, the island nation's hydrocarbon regulator has confirmed. PetroSeychelles said the extension agreement signed on February 12 is for a further 24 months. JOGMEC had requested an extension of their license to acquire more data and reprocess existing information, now that the petroleum industry is going through tough time. The crash of oil prices, first sparked by the November 2014 meeting of the Organization of Petroleum Operating Countries (OPEC), has led to a steep drop in oil prices over the last two years. The problem seems to be persisting, as Brent Crude fell below $30 a barrel and much lower for WTI (West Texas Intermediate) earlier this year. “There are several factors that dictate the price of crude oil and amongst these are increase of production by USA, OPEC’s refusal to cut production, economic slowdown in China, imminent re-entry of Iran to the market, etc. and all indications are that it might take another two years for the price to recover to such a level for us to see any meaningful increase in exploration activities,” PetroSeychelles Chief Executive, Eddy Belle said to SNA, explaining the reasoning behind the license extension. JOGMEC has been conducting geological and geophysical surveys including seismic surveys with PetroSeychelles since 30 August 2013, under the exploration license granted by the government of Seychelles. The company will be exploring the same area of 8,465 square kilometres over the next two years. While JOGMEC is extending its oil search in Seychelles, the steep drop in oil prices over the last 24 months pushed two other companies, Australian firm WHL Energy and Afren Plc, an offshore company, to suspend their search for oil in the island nation. “The acreage that was leased to WHL/OPHIR is now back on the market but the Afren acreage is not yet available,” Belle said to SNA. Seychelles, a 115-island archipelago in the western Indian Ocean with a vast exclusive economic zone of 1.4 square kilometres, is believed to have large quantities of untapped oil. The 115-island nation depends heavily on tourism and fisheries for its economy and government is hoping to add hydrocarbon to its economic base. An assessment in 2012 by the U.S. Geological Survey in the western Indian Ocean region, which included Tanzania, Madagascar and Mozambique, estimated a total of 793 million barrels of oil present in the Seychelles rift area. After a two-year embargo, oil exploration in Seychelles opened for bidding companies in 2013. Une nouvelle compagnie pétrolière en négociation pour explorer dans les eaux des Seychelles.